Amla juice contains lot of vitamins and minerals that your body needs. The pure & natural juice of amla is said to have great rejuvenating and antioxidant property. It is considered to be one of the richest source of natural Vitamin C. Taking amla juice relieve inflammation from alimentary canal and is also considered to be useful in hyperacidity, blood sugar management etc. It helps a lot in improving appetite. Let’s study some of the amazing benefits of Amla Juice here on this page. Indian Gooseberry or Amla is a superfood for Hair. It promotes hair, adds shine and thickness to the hair and reverses grey hair back to black. Amla, an excellent hair tonic, has played a key role in the long, thick, and beautiful hair. This wonderful berry acts as a natural conditioner, minimizes hair loss and greying, and encourages strong and healthy hair growth. The vitamins, minerals, and phytonutrients present in the amla increases scalp circulation, strengthen hair follicles and stimulate healthy new growth. With its amazing bundle of antioxidants, amla supplements can get rid of free radicals that can cause hair fall, greying, wrinkles, and other signs of ageing. Free radicals not only damage hair follicles but also damage black pigment-producing cell melanocytes. Damaged cells stop producing melanin pigment and hair gradually turn white or grey. Antioxidants play an important role in neutralizing these free radicals and act as protective and preventive agents. Hair colour depends on melanin pigments. Lack of melanin leads to white hair. Some of the main causes of white hair are lack of nutrition, anger, tension and too much hard work, acidity and bad digestion system, improper food and bad habits like taking alcohol and tobacco. Drinking amla juice every morning for a few months will reduce the greying remarkably, there will be no need to dye anymore. This is the best home remedy for white hair. It will also improve your facial glow and makes your voice sweet. Apply Indian gooseberry paste every day on your scalp and wash after 15 minutes. It will stop increasing white hair and hair loss or baldness. In India, Amla is known as amritphala in Sanskrit language, which means the fruit of heaven or nectar fruit. Amla is an essential ingredient for hair care and works as a hair tonic in hair care. It helps in strengthening the roots of the hair and enriches hair growth. 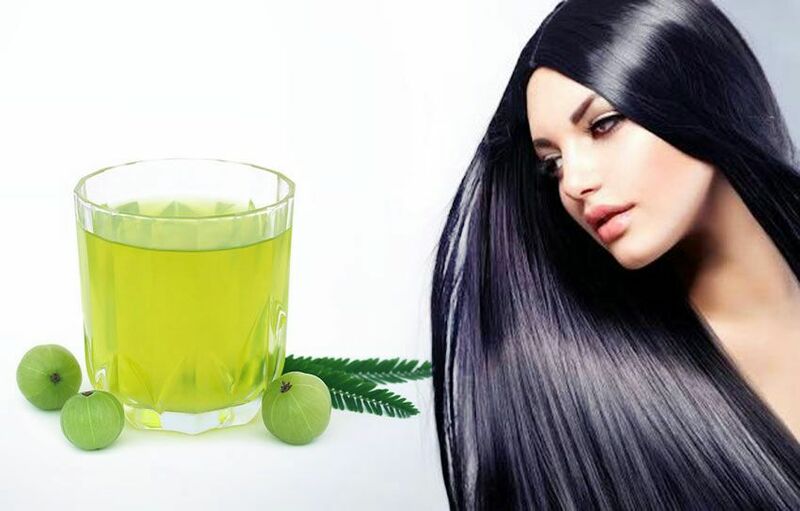 Amla juice prevents dandruff and premature greying of hair. Amla gives a perfect glow on your face and blemishes free skin. 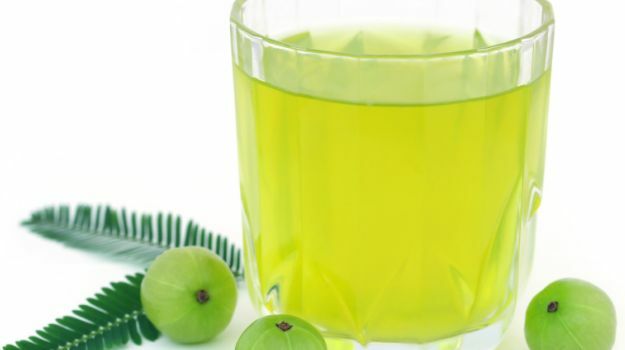 Health Benefits of Amla juice includes its helpfulness in relieving constipation in piles. It helps in regulating bowel movements and cures chronic constipation. Amla juice is very useful in improving eyesight. It also counters diseases like reddening, itching and watering of eyes. It strengthens heart muscles and is a remedy for heart problems. Amla juice helps in fighting bad breath and strengthens teeth.